Researchers at the University of British Columbia have received four seed funding grants of $112,000 each in the Round 6 of the Stars in Global Health Program. We congratulate two NGDI researchers for their successful projects, Tim Green and Matthew Wiens. Some five to 10 per cent of African children with a serious infection die in hospital. Alarmingly, an even higher percentage of children die in the weeks after their discharge. Doctors and parents are often unaware of this period of high vulnerability and are poorly equipped to identify or handle recurrent illness. A mobile phone application developed by this project for hospital use will help to identify at-risk children who need referral to a community health worker, while parents will receive a discharge kit to help guide care for their recovering child. Low levels of the vitamin thiamin (B1) in the diet of breastfeeding mothers in Southeast Asia results in widespread beriberi disease in their infants, causing heart failure and thousands of child deaths. In Cambodia alone, the problem kills about 700 children per year. The project will introduce fortified fish sauce to mothers’ diets, a simple, cost-effective and sustainable way to raise maternal blood and breast milk thiamin levels, helping to lower the rate of infantile beriberi. By engineering bacteria, this project aims to produce natural, low-cost drugs for the developing world. The prototype objective: an antibiotic called violacein, which may help treat diseases such as leishmaniasis and malaria, but stalled in clinical development due to its high cost. Anti-Retroviral Therapy (ART) has significantly reduced HIV1-related illness and death, but less than half of patients in many low and middle income countries have access to it. Using electrophysiology (EP) and cell assays, this project aims to discover natural products from Southeast Asia that block HIV1, leading to local, affordable therapies. 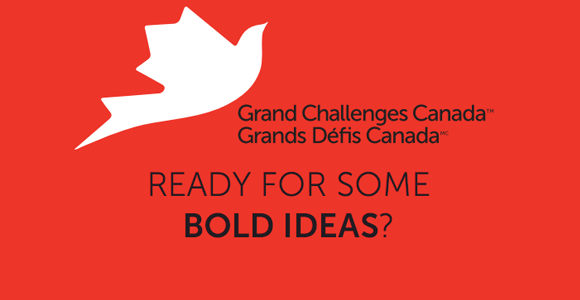 For a database of all Grand Challenges Awardees, click http://www.grandchallenges.ca/our-innovators/.